Ashlock graduated from Edward Bok Vocational High School in 1964. A teacher there remembers the former commercial art student as a "quiet gentleman." He enlisted in the Marine Corps in October 1964 and was sent to Vietnam in June 1966. The 21-year-old sergeant was wounded during Operation Sutter against Viet Cong forces in December 1966, but returned to duty with a rocket unit of Company D of the 1st Batallion, 5th Marines, 1st Marine Division. Ashlock disappeared on May 12, 1967, as darkness fell after daylong combat in a valley near Que Son, Quang Nam Province. He was not found during an intensive search the following morning, and was declared missing in action. Ashlock is one of nine MIAs from Philadelphia. Survivors included his parents. On 12 May 1967, then Cpl. Carlos Ashlock and LCpl. Jose Agosto-Santos were members of Company D, 1st Battalion, 5th Marines, 1st Marine Division and were participating in an operational mission in the vicinity of the village of Que Son in the Rue Son Valley. This valley was rich in rice fields, densely populated and hotly contested. As the Marines moved through the valley, they encountered two reinforced battalions of Viet Cong (VC) approximately 1mile southeast of a primary road and the same distance northwest of a river. 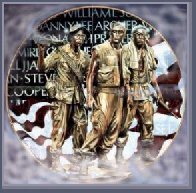 The Americans were engaged in heavy combat approximately 12 miles southwest of the coastline, 14 miles southeast of An Hoa, 18 miles northwest of Tam Ky and 25 miles south of DaNang, Quang Nam Province, South Vietnam. At 1750 hours, most of the Americans in the patrol were wounded or dead and the Marines were forced to withdraw under heavy enemy fire. Jose Agosto-Santos, who had been wounded in the stomach and back and Carlos Ashlock, who sustained reportedly mortal wounds, were both left for dead in the rice field where each fell. Both Jose Agosto-Santos and Carlos Ashlock were immediately listed Killed in Action-Body Not Recovered. Shortly afterward, one of the American survivors reported seeing VC troops carrying Agosto-Santos away. Another report was also received by US intelligence from a local Vietnamese official that two wounded Marines had been seen in the custody of the VC. This report was viewed as possibly correlating to Carlos Ashlock and Jose Agosto-Santos. In June 1967, a former Viet Cong doctor at Hospital B-25 reported Cpl. Ashlock was alive and had been treated at his hospital. According to another US intelligence report, he was also seen alive in July 1967. In spite of this information, neither Marine's status was upgraded to either Prisoner of War or Missing in Action. In reality, LCpl. Jose Agosto-Santos was not killed, but captured by the Communists. For about a month he was cared for in a cave by the Viet Cong. On his first night in captivity, a VC medical team removed two bullets from his body, which was an excruciating procedure as the surgery was done without anesthetics. During his recovery the VC treated him well while interrogating him as well as manipulating him with promises of an early release in exchange for his cooperation. 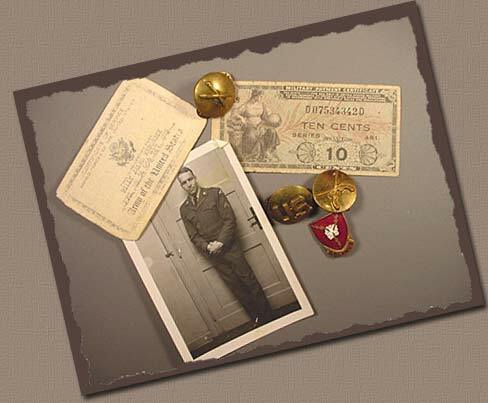 In June he was allowed to write a letter to his father shortly before being moved to another POW camp. Some of these camps were actually way stations the VC used for a variety of reasons. Others were regular POW camps. Regardless of size and primary function, conditions in the VC run camps frequently included the prisoners' being tied at night to their bamboo bunks anchored by rope to a post in their small bamboo shelters. In others they were held in bamboo cages, commonly referred to as tiger cages, and in yet other camps the dense jungle itself provided the bars to their cage. There was rarely enough food and water to sustain them, and as a result, the Americans suffered from a wide variety of illnesses in addition to their injuries and wounds. In the new prison camp, known as "ST18," Jose Agosto-Santos was incarcerated with other American POWs including Luis A. Ortiz-Rivera. 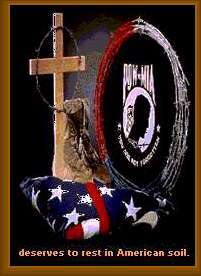 PFC Ortiz-Rivera was a US Army soldier, who had been captured six months earlier, and like LCpl. Agosto-Santos, was from Puerto Rico. Both men barely spoke English. To the other POWs, the two Puerto Ricans seemed to be unduly subservient and amiable toward their captors. Further, they were showered with favoritism as the VC endeavored to exploit their Hispanic identity. On 23 January 1968, just before the beginning of the communist initiated Tet offensive, the VC released PFC Luis A. Ortiz-Rivera and LCpl. Jose Agosto-Santos in a propaganda move during a ceremony outside a hamlet near the provincial capital of Tam Ky. The day after their release, the remaining POWs were moved to another camp located some six hours to the northwest of ST18. Ironically, neither the Marine Corps nor United States government had any idea Jose Agosto-Santos survived his wounds until the time he was released from captivity. During his debriefing, Jose Agosto-Santos told US intelligence personnel he behaved as a model prisoner because he felt he owed his life to the Viet Cong who saved him by nursing him back to health. Further, he reported he did not know if Cpl. Ashlock was killed or only wounded, he as never saw him .. 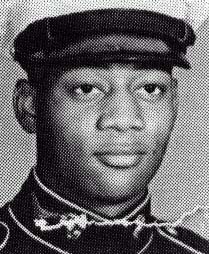 In March 1991, Vietnam repatriated a group of remains, one set of which they identified as those of Carlos Ashlock. The remains were taken to the Central Identification Laboratory-Hawaii (CIL-HI) for examination. After an examination of all remains returned to US control in March 1991, CIL-HI personnel determined that neither the remains identified as Cpl. Ashlock, nor any other remains returned at that time, could be associated with Carlos Ashlock. American team members from the Joint Task Force for Full Accounting (JTFFA) have conducted an additional investigation into the case of Cpl. Ashlock. During a field investigation, JTFFA members located witnesses who provided information concerning the capture of Carlos Ashlock. Some of the witnesses also reported multiple burial sites, but none of the witnesses could provide information on the burial site locations and no remains were recovered. According to JTFFA personnel, none of the information gathered from these witnesses increases the knowledge already known that Cpl. Ashlock was last known alive and in captivity. If Carlos Ashlock died in combat as our government originally believed, or in captivity as a Prisoner of War as the Vietnamese witnesses claim, he has the right to have his remains returned to his family friends and country. If, on the other hand, he survived captivity as the US intelligence indicates, his fate like that of many other Americans who remain unaccounted for in Southeast Asia could be quite different. 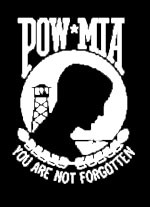 including POW/MIA information. Please take some time to visit the pages of these special gentlemen.